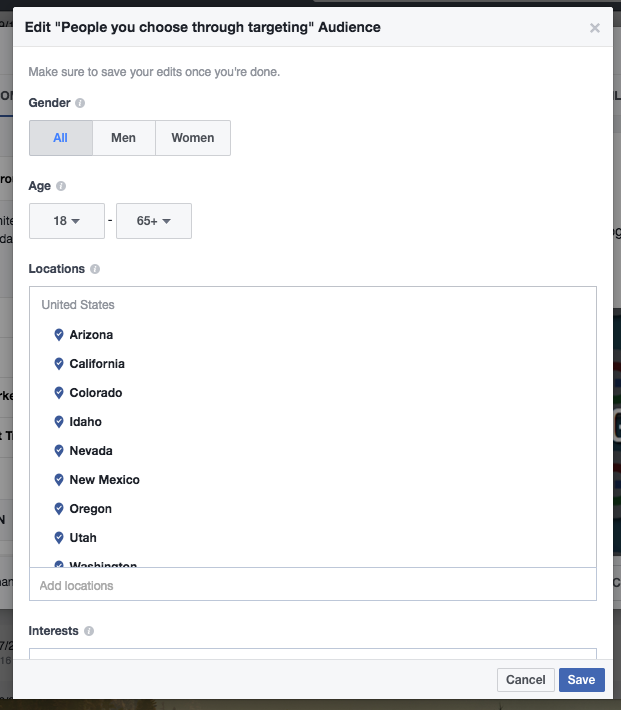 Tackling the many advertising options offered by Facebook can be a challenge. Do I want more likes on my Facebook page? Can I direct people to my website? What’s a boosted post? These and many other questions may be running through your mind, but don’t worry, I’ll be here to guide the way. 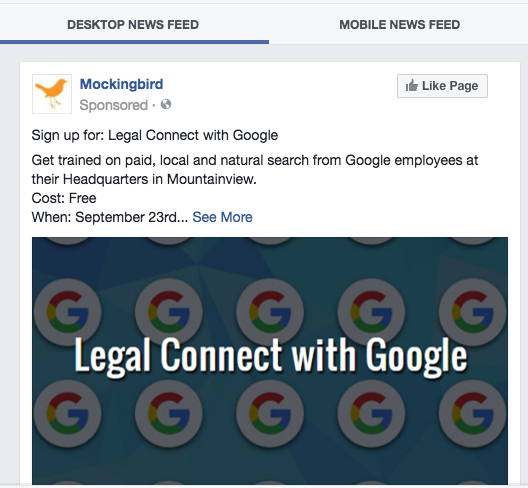 First and foremost, you may be wondering why a lawyer would even want to advertise on Facebook. Although legal matters can be extremely personal, you have to think about how people make large purchases. They research, compare, and then buy. The traffic you receive from a Facebook ad may not be high converting, but they could be later, so think of these as branding campaigns. 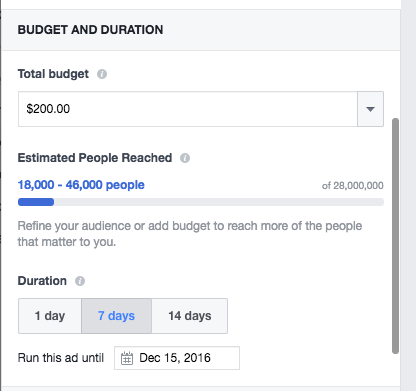 But with the extremely low cost of running ads on Facebook, it doesn’t hurt to dip your toes in the water. 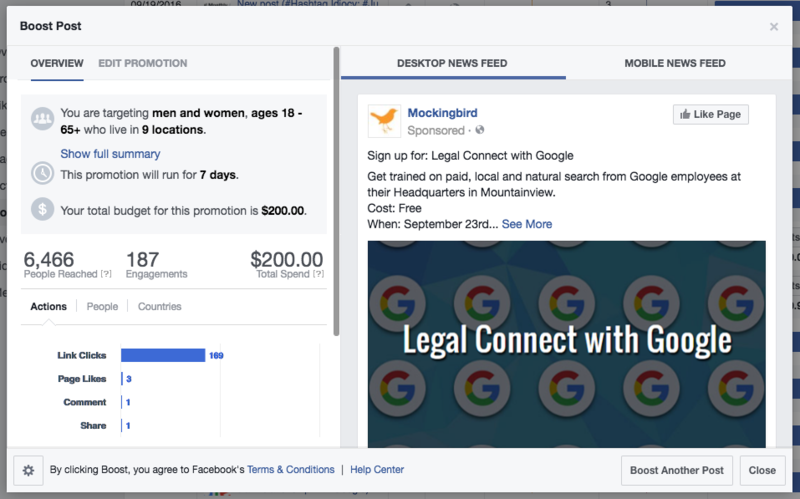 Boosted posts are the easiest way to get familiar with Facebook advertising. A boosted post is essentially a post you might share with friends and followers, the only difference is you can now target people outside of that circle. You can target a specific location, a certain age group, and even narrow it down to job title and interests (this can be particularly helpful for workers’ compensation campaigns). A boosted post could be a link to a recent blog on your site, or an update about your firm. Almost anything you share on your Facebook page can be used as a boosted post (consult their ad policies for more information). Once you’ve published the post live on your page, you’ll find an option to boost underneath (there are other ways to get here, but I find this to be the easiest). You’ll then choose your targeting settings. You’ll be able to preview your post before submitting in both desktop and mobile versions. Once submitted, your post will be visible when someone matching your targeted audience scrolls through their newsfeed. With this kind of post, a potential client can click through to your website, visit your Facebook page, like your page directly from the post, comment, like, and share. For these kinds of advertising campaigns, it’s usually best to run them for a short amount of time. The campaign pictured below ran for one week with a total budget of $200, yielding 169 clicks to our site, which equates to just under $1.20 per click. Not too shabby. Once you’ve mastered the art of the boosted post, you may be ready to start running even more targeted ads to generate leads, whether through video, geo-targeting, or larger branding ads.